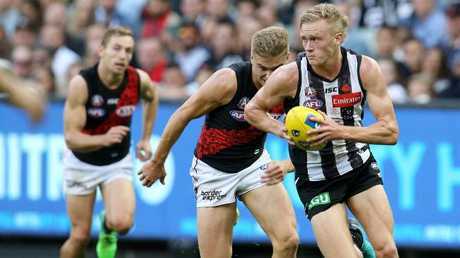 A STUNNING debut season has earned classy 19-year-old Collingwood forward Jaidyn Stephenson the AFL's Rising Star award. Stephenson has played every game and kicked 34 goals, becoming a key member of the recast Magpies attack. It is a far cry from draft week last year, when Stephenson and his family started worrying whether he would be picked up. Word had spread that Stephenson had a rare heart condition - he takes daily medication - and that gave some clubs second thoughts. But the Magpies recruited him with pick No.6 and proved to be an inspired selection. "I'm not much of a crier or a teary person but I did tear up that night - it was just pure relief," Stephenson said. "On draft night I said I had to repay the faith to Collingwood. This is the first two per cent of me paying them back." Stephenson's mother Raquel and sister Tegan have the same heart condition. They attended Friday's awards lunch in Melbourne, along with father Darren and aunt Bernadette. There was a touching moment on stage as Stephenson remembered his grandfather Max, who would throw rolled up socks to him when he was a toddler to help his eye-hand co-ordination. Even when Max was stricken by dementia, he still loved his footy. 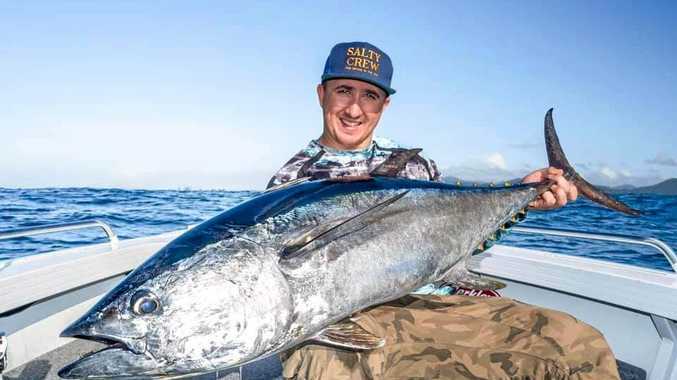 "I'd go into the hospital and he wouldn't know my name, he wouldn't know who I was, but I'd bring out a footy and he could still kick it to me," Stephenson said. 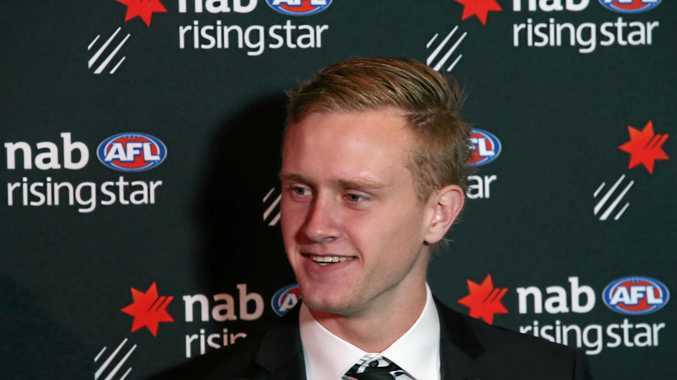 He is the first Collingwood AFL player to win the Rising Star award. Coach Nathan Buckley was at Brisbane when he took out the inaugural award in 1993. Stephenson was the favourite and polled 52 votes, with eight of the 11 judges giving him the maximum five votes. Adelaide defender Tom Doedee was 10 votes behind in second. Stephenson completed a memorable double for the Magpies after Chloe Molloy claimed the AFLW Rising Star award. Fearing he could be dropped after going goalless in his first three games, Stephenson then had a five-goal breakthrough game against Adelaide to ease his anxiety. "He (Buckley) backed me in again due to my forward pressure and he said, 'The offensive stuff will come. We just love what you're showing on the defensive end,'" Stephenson said. Stephenson's teammate Sam Murray also had a Rising Star nomination, but he is under ASADA investigation for an alleged failed drugs test and did not attend the function.